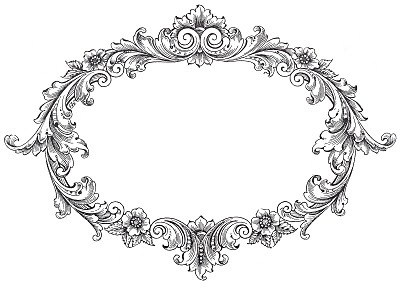 Here’s another gorgeous Vintage Frame image for you to use in your art! This one has a nice oval shape and lots of romantic scrolly embellishments, along with a few flowers. This would make a great label, or scrapbooking element, and it works great as a Photoshop brush too! 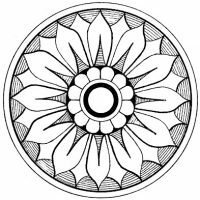 Ornamental Clip Art – Antique Medallions Vintage Graphics- Fab French Advertising – Cafe – Chocolat Vintage Cluster of Tubular Flowers and Buds Engraving! so pretty, I have been so busy, but I wanted to tell you thank you so much for all the hard work you do to bring us such fabulous graphics!!!! Karen, on vacation I sketched out an idea for a label, popped in here this morning with hopes of finding something and there it was! The perfect birthday present! Thank you!!! WOW! I love this one!! My head is swarming with ideas 🙂 Thanks for sharing!!! That’s so awesome!! Happy Birthday to you! Another beautiful graphic! Thanks, Karen! ooh . . . .this is lovely, thanks Karen! Very pretty frame, thank you so much! Hi Karen, I LOVE YOUR BLOG!!!! I dont`n speak English enough good, but I`d like to ask you how to put/move this kind of graphics (frame)on wooden box. Only by decoupage? Do you know other way? Pleaase help me if You can. Decoupage is probably the fastest easiest way to do this. If you look in my “Craft Project” section you will find some other transfer techniques. Look for the “Bird Knob” project and the “Vintage Number Coaster” project, in particular. Also, if you google “transfer techniques for wood” you will probably find more. Have fun with your project! 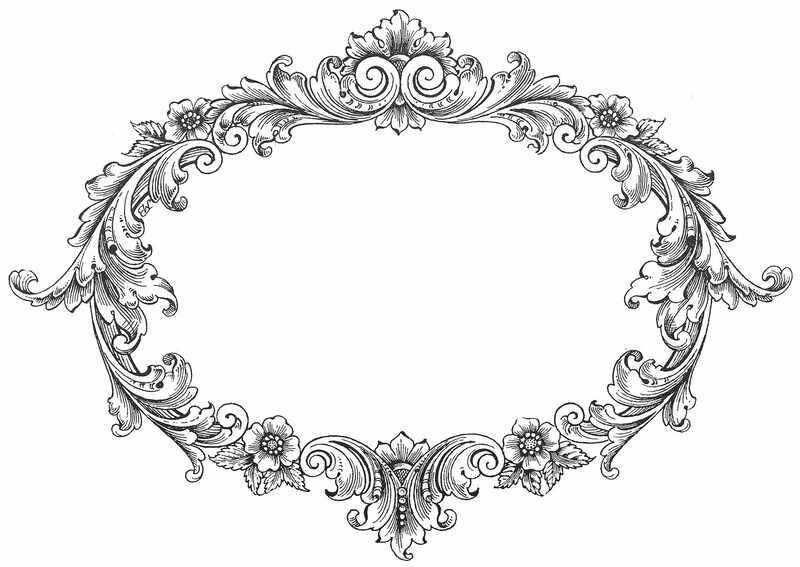 hello, my name is alicia howlett and i would like to use your vintage clip art- fancy oval frame as a frame for the icon of my buisness. i tried to e-mail you but the link didnt work so i am leaving a comment, please e-mail me at [email protected], i would love to use your frame. thankyou. Thank you for this — made super cute tent cards for my sister’s baby shower with this!! Thank you for the graphics. Can you tell me how to make the background transparent? Thank you for the beautiful Flourish design. Hi. please canvi use for commercial? As my logo for my boutique? Hi Kristyn, I have no problem with it, but please read my terms to make sure it’s legal for the laws in your country, you can find the terms page here https://thegraphicsfairy.com/terms-copyright/ or by clicking on “terms” at the top of my blog. Thanks!